Artists choose their still life objects with great care. 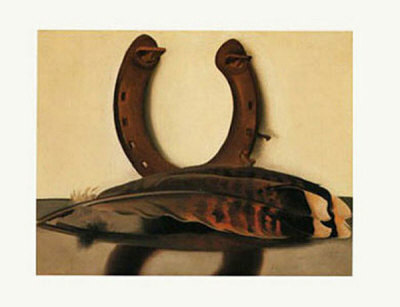 The items they choose become the main focal point of the artwork, determining the overall subject matter of the piece. The objects in a still life painting carry the weight of meaning: either religious, allegorical, social, cultural, personal, moral, or spiritual. Artists select their still life objects for a variety of reasons: they either want the symbolism of the object to make a point, or the objects may hold some form of personal interest and relevance to the artist's life. Sometimes artists choose objects simply because they are aesthetically pleasing. 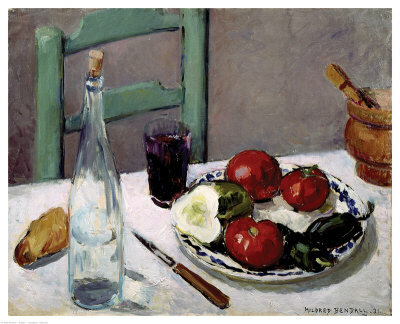 The objects are sometimes compelling in their own right, but more often than not, the artist must make the objects interesting to look at either through careful and clever arrangement of the composition, or through an appealing painting style. What are some of the still life objects that painters depict in their still life paintings? On this page, we'll take a look at some of the natural objects that show up in still life paintings time and again. I'll show you several examples of how different artists from different time periods included these objects in their paintings. 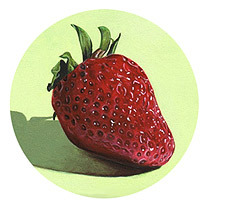 Natural foods such as fruit, vegetables, and meat often show up in still life paintings. The symbolism of the food depends on whether the food is fresh and ripe or decaying. Food in a still life often points out our mortality and the ephemerality of earthly existence. When the food is fresh and ripe, it can signify abundance, riches, and the bounty of the upper class. Decaying food can serve as a reminder of our own mortality and the inevitability of change. Flowers have long been a favorite subject matter for still life painters. The meaning of flowers in a still life painting depends upon the type of flower. It's also important to take into account whether the flower is fresh or wilting. In general, flowers can symbolize innocence as well as impermanence - a reminder of the shortness of our existence and the fleeting nature of life's earthly pleasures. Flowers symbolize nature and the four seasons. Flowers in a still life can reflect an interest in science and the natural world. Flowers were depicted for aesthetic purposes and also at times they were used as religious symbols. Individual flowers had their own meaning, such as the rose for love, the lily for purity, and the sunflower for devotion. Aside from flowers, other plants may appear in still life paintings, such as ferns, leaves, cactus, bamboo, bonsai trees, etc. The meaning of the plants in a still life will partially depend on whether they are fresh or wilting. Plants in a still life painting can symbolize a scientific interest in botany and nature. Feathers appearing in a still life painting can symbolize a scientific interest in understanding nature and birds, acknowledging a connection to world around us. In religious paintings, feathers can symbolize virtues such as hope, faith and charity. Feathers can also represent freedom (because they enable flight), the sky, and the heavens. Shells in a still life painting can represent a number of things, depending on the context of the artwork. In a religious painting, scallop shells or clams symbolize the Virgin Mary, the Immaculate Conception, pilgrimages, or saints. On the flip side, shells in secular works can symbolize sensuality and the pleasures of the flesh. Shells can also signify a scientific interest in oceanography. When skulls or bones appear in still life paintings, they often have a moral purpose, with the aim of keeping humanity's morals in check. Skulls symbolize mortality and ephemerality. They are a reminder of the fleeting pleasures of life. Skulls in art also represent inner contemplation, eternity, and life beyond the earthly and visible.